One of the most difficult things to really focus on in the struggle to change is simply “Why”. Why do we want to change? Why do we search out to become better? Why must we make a decision that goes against our current thought process? Remembering “Why” you are reaching for something new, will have a significant impact on the success rate of any change. So let’s start by looking into the reason we chose to make a difference in our own lives. Normally changes begin when a person realizes that they have had enough. They have had enough with their current job status, their current weight issues, or their current social circle. There are hundreds of reasons to want to change, but normally these reasons aren’t strong enough to continue the change. This is where the struggle begins. What do you do when the motivation begins to wane? When life actually begins to fight back against the shift we are trying to make? It is at this point that each of us has to make a decision… to step back into the comfort of our current life, or take control of our mind and stick to the decision to change. Yes, I get it, writing and reading these words are far easier tasks than trying to actually implement these into our lives. I get it, there are times that I struggle with it as well. When my life wants to return to what it knows, rather than what it could blossom to become. It is in these moments when the true test arrives. Can we control our mind? Can we take captive the thoughts that bring us down? Can we shift negative thoughts to positive motivation? Choosing to control the thoughts in our minds is one of the greatest strengths that we will ever develop. So how do we control our thoughts? Well, this is a much larger question than what we can tackle in one post, but I want to give some quick talking points that we will drive deeper into in following posts. Our first step in controlling our thoughts is to remember why we want to make this change or shift in our lives. We have to always come back to the reason why we are looking to make this change. For most, these decisions are very long term shifts that take months if not years to accomplish. We live in a “get it now” society that thrives off immediate gratification. Our lives are not changed in this manner. Sadly, we can’t order our life change on an app like we order a mocha latte. Sure, some progress can be made quickly, but these quick successes build into longer, more difficult movements. I wrote in 2017 some of my “why’s” in a blog post that can be found here. Now I have changed many of my “why’s” since this post, but its always great to return and see how some of the reasons that I still have for my life. When we search for real change in our lives, we must remember the amount of devotion we must have to these changes. I believe that we really don’t use the word “devotion” or act as if we have devotion to many things in our lives. Our society continues to drive us to places of pure devotion towards a cause or person without any understanding of why we choose this direction, or eliminates our devotion by telling us to not be true to any certain object in life. When we want to make a change in our life, we have to take a level of devotion towards these changes. After remembering why, we must devote our time and energy in making these changes, for life will not go down without a fight. Our minds will be filled with doubts and fears, but we must devote ourselves to the change. We’ll dive more into devotion in a couple of weeks to understand just the importance it has on success. One of my biggest struggles, as well as for many others, is simply the words we speak to ourselves. As we are looking at how to control our thoughts, we have to talk about how we speak to and about ourselves. While we communicate with others often throughout the day, its important to remember that we communicate with ourselves much more. If that communication focuses on why we cannot achieve, we will never make it, but if we focus on why we may reach our goals and the how we can do it, our success in change is far closer. Remember, you won’t always have someone there to push you or motivate you, it is your own mind and thoughts that must be a positive influence to your change. The final piece of controlling your thoughts is what I call “The Pause”. Its like hitting the pause button on a tv show or movie. For me, it reminds me of hitting the pause button on a video game back in the day. You can be in the middle of a difficult or erratic moment, but with one single push of a button, the game stops and I could stop to do whatever I needed to. Now, life doesn’t always work this way, but oftentimes we have the opportunity to stop and really reflect before making a decision. By pausing, we allows ourselves to turn off autopilot and actually make decisions pertaining to our goals. Until our initial thought is towards our goal, we must not allow our habits to move us in the wrong direction by pausing and checking our decisions. When we really strive to change our lives, we must remember that it is not going to be a walk in the park. We are changing our habits and our lifestyles. We must take control of our minds to reach our goals. Change is a constant decision, it must be chosen each time. Well, this is the first post on here in more than a year, and I wanted to simply come back and welcome everyone back to reading and going along with this journey with me. 2018 proved to be a year of change and shifts in my life as a whole. From being married in February to purchasing a home in August, it has been a wonderful year, probably the best on yet. With it brought changes to my daily life, as well as, changes to my goals and challenges. While this year has been amazing, there have been difficulties adjusting to my new lifestyle, for example, this blog was put on hold while I figured out how to make these shifts myself. Sure, I haven’t made all the goals that I set out to do, but ultimately, I believe that this is the course of life. The reasons why we set out to achieve certain goals change, especially as our responsibilities change as well. It has been a year of adjustment, but happy adjustments to my life. 2019 has some really big shoes to fill, for 2018 was awesome! So what does that mean for the blog going forward? Well, its time to bring it back to life. I’ve learned a lot the past year, and as I strive to make the changes I’m looking to do, so I want to express that to everyone who gets to read these posts. As I’ve developed even more as a leader in my career, as well as, a leader in my household, I realize there is so much to learn about becoming the person we all strive to be. If there is one thing I have learned, it is that life changes all the time. We must be prepared to shift as life shifts. Change is constant, and choosing to accept this fact is of uttermost importance to the success we have in life. Our lives will be different tomorrow than they are today in some facet. The ebb and flows of our lives take different turns than we expect, but that doesn’t change the truth that we must continue to move in the right direction. Setbacks may come, but the speed at which we return to the path will be the determination for our success. As we look at 2019, I want to everyone to go on this journey with me as we drive into another year of changes and new challenges. Let us celebrate the successes and help each other through the setbacks. I hope I am able to learn more about becoming the man I’m supposed to be for my wife, my family, my friends, my career, and my own self. I hope you’ll follow along and we may learn how to become better versions of ourselves. In every walk of life, you have an audience to influence, a friend to encourage, and a group to benefit. When you choose the actions of your life, remember that those around you are directly impacted by these choices. So what am I trying to say? Simply, your actions impact those around you in many different ways. How? Think about your reaction to others when they smile at you. How does it differ if they look away from you, or even worse, grit their teeth at you? Does a short, quick retort give the same message as a soft, well spoken response? The way in which we speak, audible and inaudible, to others changes the message they receive. To go even deeper, are you sowing belief in someone through positive reinforcement, or are you discouraging them by focusing on the negative? In our every day life, we have many opportunities to influence those around us, and it is our personal responsibility to make sure we use these instances wisely. Let’s break this down deeper. First, I want talk about the audience you influence. Different studies guess that we may interact or “meet” anywhere from 10,000 to 80,000 people in our lifetime. Now, these people may be there for 3 mins on the subway with you or 70 years as a spouse. 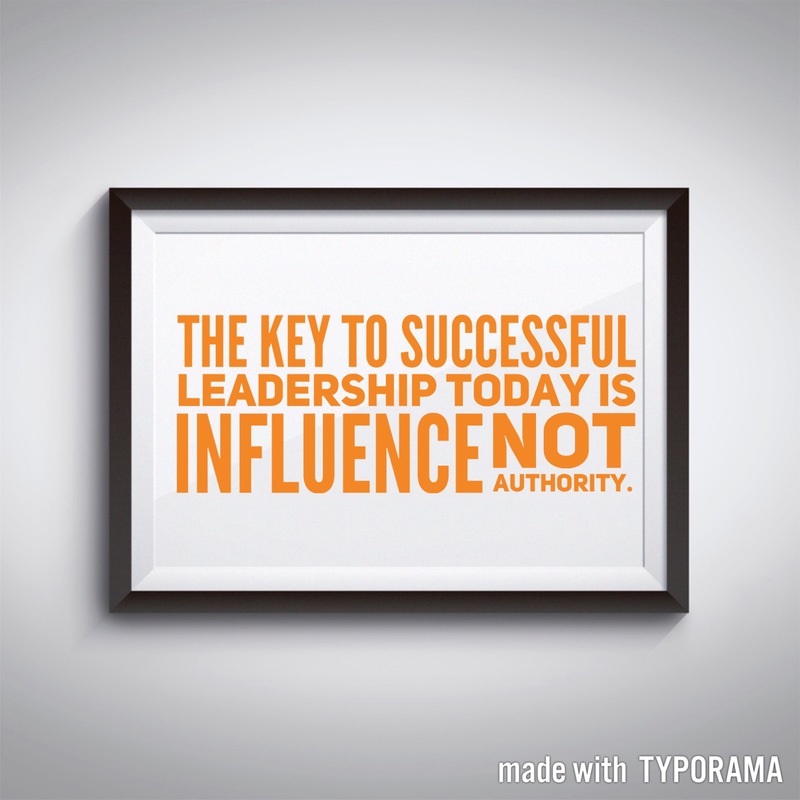 The level of influence changes, but nevertheless, you still retain some influence over every person you meet. We have the power, and therefore the responsibility, to influence those we meet towards betterment. What do I mean by betterment? I mean kind words, encouragement, a kind smile, or even a gesture of service. You have the opportunity to directly impact their life in a manner of seconds. Each action you take, each word spoken or not spoken, can make a massive difference in someone’s life. We are constantly performing in front of an audience. An audience we can influence, we can change, we can ultimately help. Check you message before you speak to your audience. When we look at the people closest to us, we must remember that one of our most powerful abilities is the ability to encourage. How is encouraging so powerful? Ask yourself this question: “How many times have you looked for confirmation in an idea you have from someone close to you?” Want to write a book? How about run a marathon? While the idea seems crazy, far too often we seek for validation from some other person to set out on this idea. Now, think for a minute. What if we were so focused on ourselves that we didn’t take time to encourage a loved one to strive to become greater. Even worse, what if we discouraged them? Told them they couldn’t do it, simply because we don’t think we could do it? Encouragement is powerful to others, it inspires, pushes, drives, helps, awakens, and invigorates. Our message to others should be encouragement, not disinterest. We must constantly be checking the message we are sending. Are you actions and words aligning? Are you sending a message of encouragement and betterment? Think about the impact you have with your audience. Are you a leader on a team? If so, you have a much greater impact on the morale of those around you. You never know how much someone looks up to you. When you shake someone’s hand, do you look them in the eye? Try smiling too. You’ll be amazed how it changes the conversation. Remember, you are always in front of your audience, make sure your leading them to a better place. One of my favorite parts of mythology is the story of the phoenix. The story of the great bird that burns into ashes and then rises from these ashes back to life all anew. While I simply view this as mythological story, I see so much in this for every single person that wants to achieve greatness. Oftentimes we must fall through our failures and struggles, only to reemerge from the ashes of defeat to rise in victory. When we really assess our abilities, far too often we really don’t know our true ability. I feel that this is the reason for TV shows like “American Idol” and “America’s Got Talent”. While some contestants have an idea of just how good they really are, others are simply looking for that validation for their abilities. We have all seen it, the young singer who gets on stage, nervous, but ready to show the world just how good they are. They begin to sing, not really sure how it will turn out, but then they hit that first high note. The crowd erupts, applause ensues. The contestant begins to smile and sing even greater than before. Why? Simple, now they believe. They know their abilities are good enough. They have confidence. They have arrived. Where do you need confidence in your abilities? So where do we go from here? How do we gain the confidence in our own abilities while struggling through the failures of our careers, our endeavors, our new jobs, our weight loss, our (you fill in the blank)? Let’s look back to the story of the phoenix. The phoenix is known to be beautiful, full of color, hearkened back to its connection with the sun. When the phoenix rose from its ashes, it didn’t rise in dirt and grey, rather it arose in beautiful color. See, this is us, when we fail, our skills are not diminished. We haven’t lost any of our abilities. We still have the same strengths we had before. What we have learned though is a better understanding of just how good we really are. Now we know where we can work now, we know how good we are. We can now do the most important part of failing, RISE. See, the response is always the most important. What do we do when we fail? Do we continue to press forwards to our goal, rising from the ashes of our failure? Or do we simply give up and say we aren’t good enough? Honestly, we may not be good enough to make our goal right now, but that’s what is so great about success. Success demands us to RISE to the occasion. Success helps us to make us a better version. To gain the success in life, we must reach higher every day. Every day we must strive to become the best version of ourselves for that day. For many, your goals will push you to go to places you’ve never been, into situations you’ve never seen, and to do actions you’ve never done. You will have to pull yourself out of your comfort zone. Always remember to set your foundation firmly and the prepare to face adversity. Failure will come. Simply stated, you will face failure in some form. Like we have talked about here, your response is crucial to the outcome of the situation. When you face failure, you must remember your goal and why you started. Remember the skills you have and step back up to the plate. You must RISE from the ashes of defeat. Success isn’t the end goal. Success is just a product of the work we put in. At the end of the day, the goal is to become the best version of ourselves. Never let a small success derail the greater goal. Always strive to be your very best. You have it in you, go find it and let it roar. As the final post in this three part series in leaving our comfort zone, I want to focus on something we will all face in our lives: Adversity. To many people, life revolves around the same difficulties like a record spinning. Each new day brings the same issues as the one before, which ultimately stops them dead in their tracks. They can only focus on treating the issue they face, constantly focusing on their situation and adversities. Today though, I want us to take those tough times and transform them into positive situations, full of energy and motivation. I want us to no longer see adversity as an adversary, but as a catalyst for our success. First, we need to understand that no matter what, we will face some kind of adversity. Hardships will be part of our lives, but the main difference between success and failure is our response. Far too often, we allow the hardship to take control of the situation and drive our stress levels far too high. We must remember that most of the time, these situations work themselves out. They are only short term issues that we face and will not stay forever. Our best response is to pause our action, reassess our situation, and then respond with a strategy in mind. Secondly, we have to view adversity as an opportunity to grow. For most of the population, adversity is a hindrance, a deterrent to continue in the same direction. For the highly successful, adversity is the chance for them to see just how good they really are. These people do not fear adversity, but rather they openly welcome it. The great part of this behavior is that it is transferable to everyone. It doesn’t take super human courage or bravery to achieve this mindset. It only takes you deciding to walk towards the struggle confidently, rather than walk away. Failures and setbacks may come, but what is hard today, will come easier tomorrow. Lastly, we must continue to seek out to better develop ourselves. One of the greatest aspects of adversity is that it pushes us to greater heights. In our goals for personal success, we have to become a greater version of what we once were. We must learn from our setbacks and failures. We must seek out new challenges. We must continually reflect on where we are and where we are going. Adversity opens our eyes to where we need to focus efforts to become better. Without adversity, we would never learn our strengths and weaknesses. We must view adversity as a benefit for our lives and strive to use adversity as a catalyst for our success. Therefore, do not seek out an easy life free of adversity, but rather find the richness of life in overcoming adversity and growing into the person you were designed to be. Failure, a word no one wants to be described as. A word that fills the mind with such negative thoughts and memories. See, failure is the one thing that so many of us never want to experience, but our effort to not fail is the main hindrance to our success. What do I mean? Simply, failure is oftentimes the launching pad for our success. What are some famous failures? So obviously failure happens, even to those who have achieved great successes. What they realized and we must realize as well is that failure isn’t the defining aspect of our actions. Failure is not the end, failure is just the beginning, now you can begin to make the necessary changes. I hope that all of us have had the opportunity to watch the “The Last Lecture” from Randy Pausch at Carnegie Mellon University, if not, I’ll link it at the bottom. So much can be learned from his responses to difficulties, or for what many of us call failures. See, failures are just difficulties. For Randy, he called these moments, “brick walls”. To him, “Brick walls” show just how important something is to you. They reveal how badly we really value the object to which we are striving. Far too often we associate difficulties as failures and quit. We must focus on how to overcome, not just give up. Let me paint a picture again for us. Think about yourself as a child. Somewhere, sometime, you have seen some toy or ball go over a fence into someone’s back yard or field. Now, when we are children, this signifies trouble. We don’t think we can climb the fence, let alone jump over it. So what do we do? We wait for someone to get it for us. The fence holds us back. You can see the ball (success), but something is holding you back. Now, what if you decided to jump over the fence? What are the possible outcomes? Well first, you could fall. Second, you could hurt yourself. Third, you could get in trouble. Each one of these has negative consequences, but there is always the chance at success. Lastly, you could have made it over the fence, retrieved your ball and continued to play with it. Now, the next time the ball goes over the fence, it’s no longer an issue. The fence doesn’t block you anymore because you’ve overcome that difficulty. Failures are only difficult times on the road to success. Overcoming these difficult times paves the road for you to travel. So how can we make failure the launching pad for our successes? Focus: Success in any aspect of life requires a deep focus on both the end goal and the everyday tasks to get there. As in the story above, seeing the ball on the other side of the fence is important. Focus allows us to channel the needed energy to make it. Write down your goal, share it with a close friend. Maintain it in your daily routine. Make sure your focus is able to stay on the goal. Act: Failure isn’t the time to stop working. Actually, it is the time to start working, just harder. Action is the most important aspect of responding to failure that we can do. Action provides us with the needed energy to keep going. Get back up on the horse when it throws you down. Fall down 7 times, stand up 8. Returning to the process will allow you to move towards your goal, even through any setback. Stay: Sometimes this is the hardest part of all, simply stated, stay the course. Failures in life will knock you down, but you must stay true to the plan you’ve set for yourself. Be steadfast in your commitment to your goal. You chose it for a reason, and one simple difficulty should not bring it to a halt. Stay true to the goal and stay moving towards it. As the first letters say, be FAST in your response to failure. Don’t allow it to hold you down, or force you back from where you’ve come from. When failure occurs, quickly regroup, understand the situation, and get back moving. Failure is the springboard to your success. Let me start by confessing this: My normal personality is not one to take many risks. It’s not. Really, deep inside when I’m taking a new risk in talking with someone or standing in front of a group of people, I am deathly afraid. Little do you know, I actually used to be really shy! (I know that’s hard for those who know me to believe) Thankfully though, a change occurred and I no longer act that way. What did I learn? I learned that to grow, I had to become uncomfortable. “But We’ve heard this all before!” said the readers of the blog post. Yes, I get that this is something most of everyone has heard so many times, but let me ask you, have you changed in a way you wanted? Are you closer today to the person you want to be? Ok, that’s a lot easier said than done. I get it. I really do, but let me tell you, its TOTALLY worth it. So how have I stepped out of my comfort zone? I danced the waltz and swing in front of 13,000 people. I spoke and taught in front of my peers. I gave a marketing consultation presentation in front of ownership of a company on how they could change their business to grow more. I write my thoughts and motivational action steps every week in a blog for people to read. Those are all out of my comfort zone. I could have totally failed in any of those, and it would have been alright. Each of them brought me significantly more joy, energy and overall fulfillment to my life because I actually went for it. In our daily routines, we love to stay in our comfort zones, but actually our best work is done with the addition of stress. Studies have shown that there is an optimal level of stress. Too little and we only operate at 80%, too much and we struggle to make decisions. It’s different for every person, but we have to stretch ourselves to find it. The weight lifter constantly adds weight to the lift so he or she can become stronger. If they simply kept lifting the same weight the same way, they would never reach their best strength. Do something you’ve never done that you know a friend does: This is a great place to start getting out of your comfort zone. Do something you’ve never done, but do it with someone who actually does it. For example, let’s say you’ve always wanted to go snowboarding. You don’t know how or what to do. Go with someone you know that can teach you. It’s a new experience for you outside your comfort zone, but not some place you’ll be overwhelmed. Travel some place new: Now this one seems pretty self explanatory, and really it is, but don’t miss it. You don’t have to go far off, but go somewhere you’ve never been. Start small if you want, go to a new restaurant you’ve never been. Order something from the menu you’ve never tried. Search out your own city for something new. There’s plenty in every neighborhood that you haven’t actually tried. Start there, then move on to traveling to a different city, a different state, a different country. Go alone, go with friends, go with family. It doesn’t matter. Go. Action oriented. Remember, you’re getting out of your comfort zone. Take a Chance: As the image above says, “You miss 100% of the shots you don’t take.” That’s so very true for all of us. If you don’t try, you’ll never make it. I used to say to a friend about asking a girl out, “You don’t get to kiss the prom queen at the end, if you don’t ask her to dance first.” Simple, yes. Childish, possibly, but you get the point. Take a chance at winning. See, far too often we are so afraid of losing we stay in the comfort zone where we feel safe. Success isn’t given to the safe, it is given to those who step out and take it. So take a risk, take a chance. If you’ve never done it, how do you know what will happen. When we really want to achieve something new, we must take new strides to get there. That means stepping out of that comfort zone we love to greatly and slowly changing ourselves into a new person. It may be painful sometimes, but the result always outweighs the battle. I know that I personally battle myself to get out of my comfort zone and try something new. I mean, I went to a painting class this past weekend. Let me just say it, I don’t paint. But I did it. I enjoyed it. I would have never tried one before, but I did it. Take the steps to get where you want to be. It’ll totally be worth it. We all know that one person, that person who seems to just be optimistic in all situations. They find the good in the bad, the happy in the sad, the sunshine in the rain, and I could go on and on with examples. When we look at this person what do we see? Normally, we see someone with determination, focus, and drive. We notice they are persistent, humble, and grateful. All together, they exude positive thoughts in (almost) all they do. Now, I know what everyone is thinking, “But Chris, this can’t be just a ‘Be Happy’ post?”, and you are correct. I’m not here to say just be happy, for I know that there will be plenty of tough times. Tough times will come, but our reaction to these times will be the determination to how it actually effects us. This is where Positive Thinking comes into play. Does it really work? Simple answer? Yes. A recent study by a Harvard psychologist found that those who had a positive attitude towards their actions, due to being told that what they were doing fulfilled the guidelines and needs for weight loss, showed significantly better results than those who were not given any information to the impact of the same actions. What does this say? Basically, it says that when we have a positive outlook on the work we are about to accomplish, we perform at a higher level and gain greater rewards. Reinforcing our daily routine with a positive outlook will drive greater results and less stress. Be Grateful- The first step in any positive thinking is to be grateful for where you are today. It may be difficult in tough situations, but if you really take the time to see how much good you have, you’ll rarely be able to hold the thundercloud of negativity above your head. We all must realize just the gifts we have been given and be thankful for them. When we take for granted our lives, we only strive for what we don’t have, instead of cherishing what we do have. This is a recipe for negative thoughts and jealousy, and I’m pretty sure we all know that nothing good comes from jealousy. Take time to reflect on the good things in your life, and then be thankful for them. You’ll be amazed how it will impact your day. Zoom in on the details- Doesn’t time seem to be flying by? Well, that’s because it is! Far too often, we find ourselves on autopilot, simply going through our days without paying attention. Life seems to go by quickly, and our reactions are based off of bland thoughts and attitudes. When we actually pay attention to the details around us, time seems to “slow down” and allow us to understand the situation. While this may seem crazy, in some ways its actually true. Our minds become super focused on the things around us and the brain begins to process all the small details, which ultimately slows down our minds. Try this sometime, look all around you, check out the different colors, the sounds, the smells. You’ll be amazed how it changes your thoughts of the situation. Once you’ve slowed down time, then you can react to the situation accordingly. Stop sometimes to smell the flowers! Look for the Good- I have a friend that always said “Blue Sky Thinking”. Now, I don’t know if she thought of it herself or from someone else, but I normally counted it as a pretty lackluster phrase. She would write it on everything and say it often to others. While I didn’t use it myself, I now see the impact of what thinking of the positive can really do for you. When we look at the good in every situation we are in, we are able to find motivation to keep moving forward. Finding the good may simply be realizing that you are one step closer to the end of this struggle, or it can be to see how someone else can benefit. Finding the good in a difficult situation oftentimes is the difference between success and failure. Search for a positive aspect of every situation. Trust the Process- At the end of the day, we are all on a journey towards becoming better versions of ourselves. Have faith in yourself, in others, in God. We must trust that we are moving towards our goals. If we have vision, have set our goals, and directed our lives towards those goals, then we must trust the process to get there. When you are no longer worried whether or not something will happen, you bring action into your life. As with a previous post, the trail will get you to the top of the mountain. I’m positive (See what I did there) that positive thoughts can unlock power in many of our lives. Remember, be grateful how far you’ve come already, zoom in on the details of life, look for the good in every situation, and lastly trust the process you’re on. Every day is a new day to conquer and achieve. Use every bit of it you can. You’ve driven up to the mountains; you can see the trail ahead of you, the sign just revealing the start. You know its going to be 4 miles to the top, and you look up at the mountain you’re about to hike. You can see the forest covering it and what you think is the peak, but you’re unable to see the actual way up there. You know the trail in front of you will lead you there, so you simply look back down at the trail and begin walking. Isn’t this what we do when we go hike? So what’s this got to do about Focus? A lot actually! Just follow with me and hopefully I can explain it well enough. When we look at our goals, often we look at the end goal to our struggles. We see the high school skinny picture we once were, we see the coworker with the new promotion driving the new BMW, or Facebook pictures of a friend’s engagement. Whatever the goal may be, we get a picture of what our end result will be. And that’s GREAT! We need that end goal, we need to see the mountain we are about to climb. 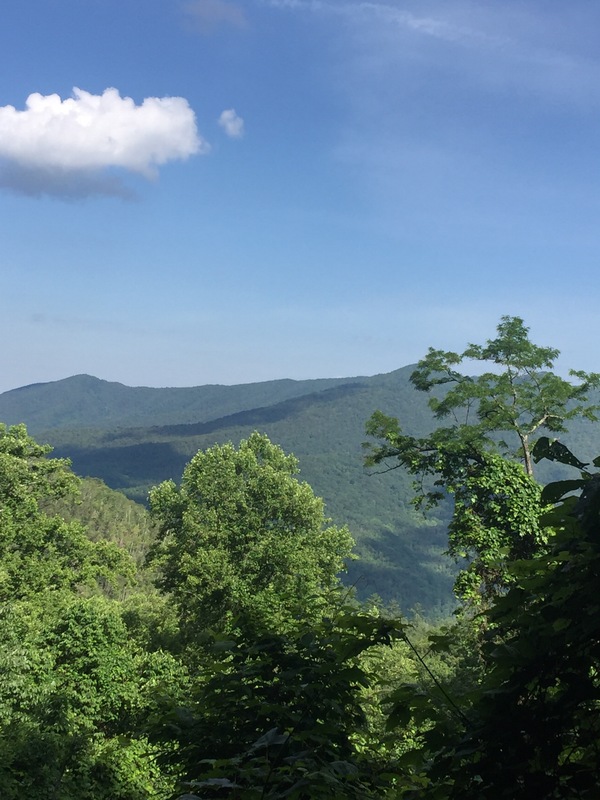 But wait… What happens to us when we focus too much on that mountain? The trip seems long, the climb too high, the goal too far away. I know that a personal goal of mine is to weigh less than 250 lbs, a loss of 75 lbs from my heaviest. Yes, that goal is daunting, really, it feels heavy, but I cannot be focused simply on the end goal. While I make sure my decisions align with the end goal, I don’t focus on it. If I did, the weight would crush me, the distance would be far too much. So, I change my thought process, and just like hiking, I focus on the trail before me. So what do I mean by “focusing on the trail before me”? It means to focus on the steps you have to take today. The 5 feet in front of you that you can see the steps. When you look at the mountaintop you can’t see the trail and the details, but when you focus on the trail in front of you, you can step over the rocks, maintain solid footing, and traverse the needed ground. Sure, the view isn’t as great as it is at the peak, but it takes time to get there. If you keep trying to focus on the mountaintop, you’ll stumble at the places you are today. The steps needed to reach the end goal will be slowed, or even halted, by the lack of attention to today. So how can we practically apply this to ourselves? First, write down whatever mountain (goal) you’re trying to climb. This is the big picture. The end goal of your struggle. You need to be able to see it, to envision it, but it shouldn’t be the focus of your eyes. Third, get MOVING! Start making steps, make decisions, make preparations, make a movement towards this goal. You can’t climb the mountain if you’re still sitting in your car. Start making strides, you’ll be amazed how quickly the distance becomes shorter. Fourth, constantly remind yourself where you’re going. Sometimes we can get so overcome by the path we are on, that we forget to see where we are headed. Just like hiking, life has many trails, and sometimes these trails can take us in the wrong direction. Reflect, reassess, and refocus on the goal that you set and the actions you need to be taking. The worst is to push so hard to reach a goal, never noticing that you’re actually going in the wrong direction. Fifth, celebrate! When you finally reach the mountaintop make sure you see just how far you’ve come! You made it to the goal, you climbed the mountain! You’ve achieved something that few will, you’ve made it to the top. In your journey, you will see many that have turned around, or ventured off the trail. They didn’t focus on the steps in front of them, they focused only on the goal. They lost motivation or direction, or both. As you climb your mountain, remember, sometimes the terrain changes, the trail looks different. Some things will change. Some trails may be a better choice for you, while some may not. You’ll get tired, you’ll get discouraged, you’ll think about stopping. Simply stated… DON’T STOP! Remember your end goal, but walk the trail before you. That trail leads you to the top, even if you can’t see it all the time. Besides a cup of coffee and a short breakfast (hopefully), what else do you do before you start your day? What do you do before you really are awake and moving like normal? For most people, their morning routine revolves around rushing around the house as quickly as they can, preparing their clothes, their bodies and their loved ones however they can. Rarely does someone actually take the time to sit down, enjoy some coffee, relax and prepare for what they are about to face. And life LOVES to throw it at you. Deadlines, discouragements, frustrated people, customers, kids… you name it. We live our lives oftentimes reacting to the events that surround us. So how can you be proactive to the events in your life? By Setting your Foundation! What do I mean, “Setting your Foundation”? Setting your foundation is simply done by creating“truth statements” that you want to live by and reminding yourself of these before you start your day. These statements may be actual truths, faith based statements, or goals that you may have set. For example, I am continuing to focus on my health and losing weight, therefore a “truth statement” of mine is: I will reach my fitness goal by staying true to my nutrition plan and maintaining an active lifestyle. So what does this do for me? It sets the foundation for my thinking for the day. When I make choices on what to eat, or when my normal workout schedule is interrupted, I can act proactively to these events by having a foundation for this part of my life. Already, I have narrowed my possible outcomes by focusing on my goal. I know what I need and must do to achieve this goal, so my choice is easy and normally the correct choice is my first thought. Another example of a “truth statement” that really helps to guide my daily spiritual life is: No matter what I face today, I know that God is for me and nothing can separate me from Him. What a strong statement to make in the morning that helps to solidify my actions throughout the day! Relying on this truth provides the basis for me to overcome many of the struggles and stresses that life throws at me. As a Christian, I know that God is for me and won’t let me down. I can face what life throws at me each day due to this truth. So my suggestion? Write down 3-5 “truth statements” for yourself. Stick them somewhere you’ll see every day. The mirror in the bathroom, your nightstand, next to the coffee pot… just somewhere you’ll be reminded of these truths. Next, simply make sure you read them and remind yourself of them every morning. This will provide you with the foundation to react to the events of life with significantly better attitudes and decisiveness, helping you to be proactive in facing the struggles of life. Please feel free to leave some of your “Truth Statements” in the comments!